The Dukes' Musical Director, Ian Murray, has put together a new book of 22 Scots and Irish traditional tunes written out in tablature specifically for the ukulele. Ian’s daughter Eilidh, has been accepted for a year of volunteering in South African schools through the Scottish based, charity Project Trust. The booklet is one of a number of projects the family are working on to help Eilidh reach her fund raising target of £6,200 by June. 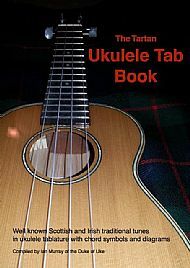 At first Ian doubted the usefulness of the ukulele for playing traditional tunes but people in his classes kept asking for them so he decided to put together a ukulele tablature book. He has chosen tunes that suit the instrument. They are all quite well known but you are unlikely to have heard them played on a ukulele before. The tunes are: Bunessan (popularised as ‘Morning has Broken’), Danny Boy, Endearing Young Charms, Bluebells of Scotland, Come by the Hills, Jock o’ Hazeldean, The Lea Rig, Leaving Lismore, Leezie Lindsay, Loch Tay Boat Song, Morag of Dunvegan, Planxty Iwin, Rantin’ Rovin’ Robin, Sally Gardens, Tramps and Hawkers, Ye Banks and Braes, South Georgia Whaling Song, Soft Lowland Tongue o’ the Border, Yellow on the Broom, Skyline of Skye, Skye Boat Song, and the Wild Mountain Thyme. The tunes are all pitched in keys that best suit the ukulele's limited musical range. Ian has also recorded a CD of all of the tunes (exclusively on ukulele with double bass) so people can play along as they learn. 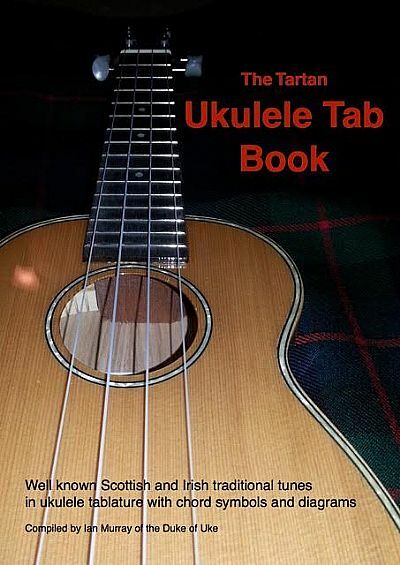 This is a lovely little booklet for any ukulele player interested in playing tunes. 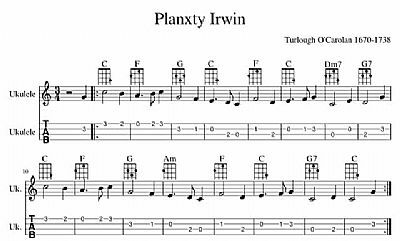 The tunes are set out clearly with ukulele chord symbols and chord diagrams. It would also make an ideal souvenir present for ukulele playing friends overseas. The booklet is on sale now for just £8 with all proceeds going towards Eilidh’s year of volunteering in South Africa. The CD costs £7. 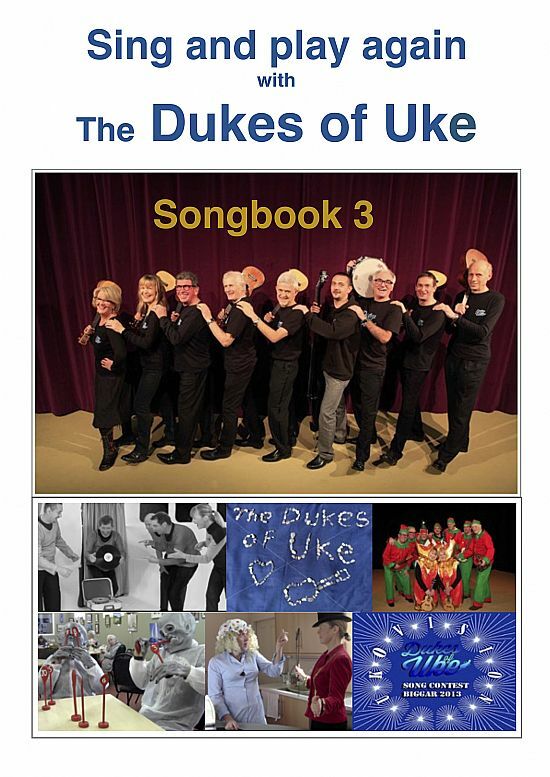 To get your copy of the booklet and /or CD scroll down and order online or email the Dukes of Uke and we will pass it on to Ian. 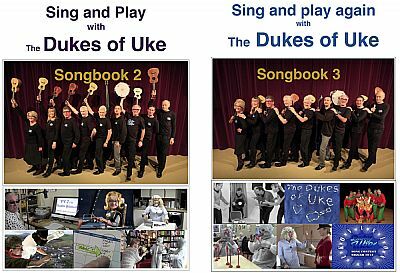 The Sing and Play series of books have been compiled for Ian's ukulele workshops and we are delighted to be able to offer these to you. 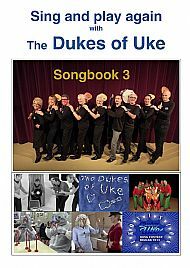 The books contain the lyrics and chords (with chord boxes) to a variety of songs, including many of the Dukes of Ukes' favourites.